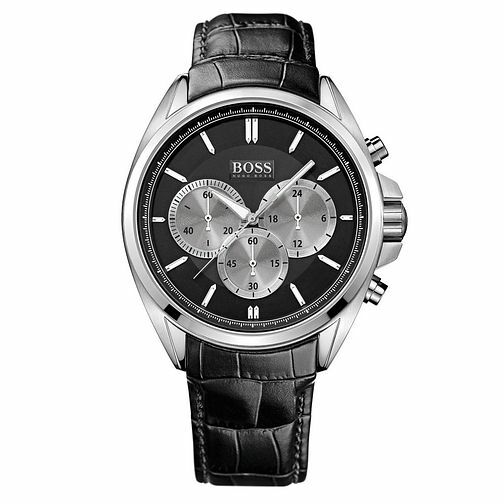 A sleek and sophisticated men's watch by Hugo Boss. The stainless steel case presents a bold black dial, comprised of three silver subdials to help track subdivisions of time, slimline indices and the Boss Hugo Boss signature. A textured black leather strap completes this timepiece, a smart and sophisticated accessory for the modern-day gent.